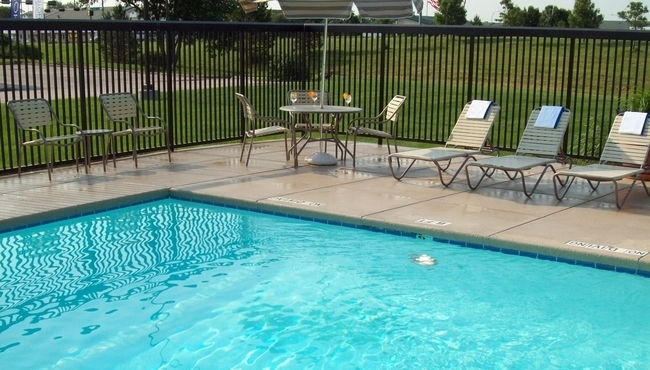 Situated off I-80, the Country Inn & Suites® by Radisson, Lincoln Airport, NE is ideal for exploring eastern Nebraska. 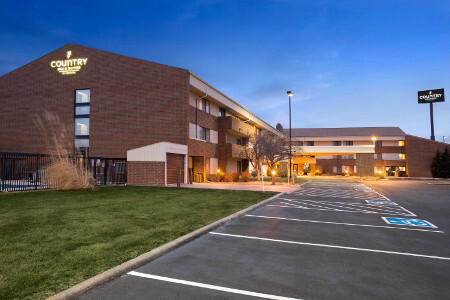 Conveniently located less than one mile from Lincoln Airport (LNK), our hotel offers complimentary airport shuttle service to make traveling a breeze. You can attend a musical performance at the Pinnacle Bank Arena and then head over to Canopy Street to check out the local restaurant scene. In the area for a sporting event? 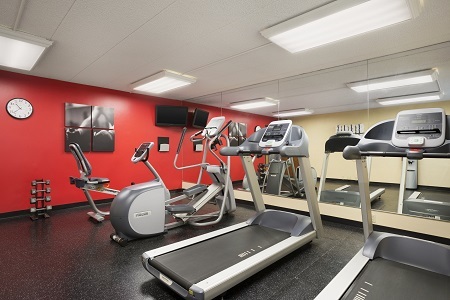 The hotel is close to the Doris Bair Softball Complex, the Abbott Sports Complex and Speedway Village. 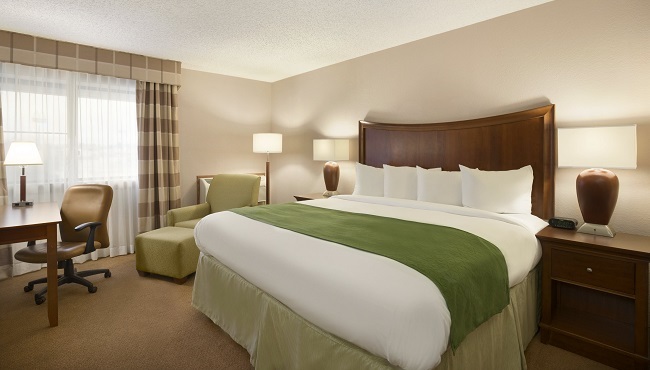 If you need additional space to spread out, book one of our One-bedroom Suites to enjoy a private bedroom, a separate living room and a sleeper sofa. Start your morning with a fresh cup of coffee and a golden waffle from the complimentary, hot breakfast. You can also choose other morning favorites like breakfast burritos, bacon, French toast, fruit, eggs and cereal. For lunch or dinner, head to The Green Gateau for French-inspired fare in a cozy atmosphere. Don’t forget dessert! Pinnacle Bank Arena – In addition to being home to the Nebraska Cornhuskers basketball teams, the Pinnacle Bank Arena—just eight minutes from our hotel—hosts top musical acts and traveling shows. Before you arrive, check the arena’s website to see who is performing and to purchase tickets. Canopy Street – Head to the vibrant warehouse district for outstanding dining, eclectic shopping and colorful entertainment. If you’re here in winter, visit the Railyard Ice Rink for outdoor ice skating, just seven minutes from the hotel. Abbott Sports Complex – Located 11 minutes from the hotel, this impressive 215-acre complex boasts 100 acres of outdoor playing fields. The site also hosts soccer, basketball and volleyball tournaments throughout the year. 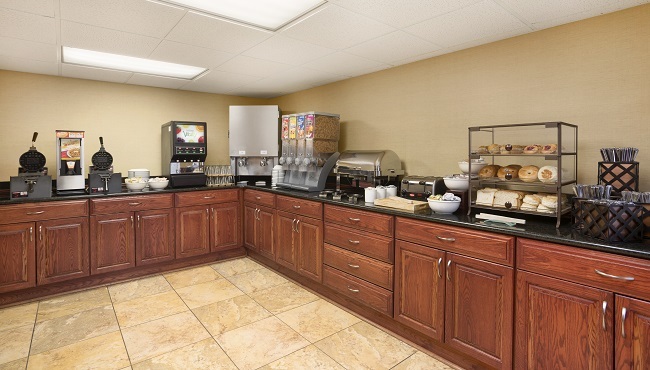 Whether you’re hosting a wedding reception, a club meeting or a personal celebration, the Country Inn & Suites has 1,300 square feet of flexible event space for your next gathering. Our professional staff can help you arrange every detail, from catering to audiovisual equipment, to ensure everything runs smoothly.